PARTHASARATHY delivers an exceptional lesson experience and ranks in the top 15% of our teachers nationwide. I teach Carnatic and Sanskrit slokas to children from 5+ years. I ve been teaching slokas to children for the last 10+ years in Sunnyvale. I teach small slokas. I also teach Vishnu sahasranamam to 8+ year children. 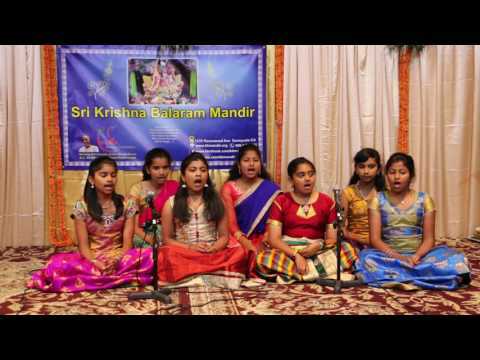 Children reciting Chapter 15 of Bhagwad Gita during a recital.